This is a matching and True or False activity to test our students´ knowledge of the famous Dicken´s Christmas Carol. Based on Mr. Magoo´s Christmas Carol. If you are interested in the video, follow this link http://www.youtube.com/watch?v=1JiFO9-Mj-k&feature=related. Hope it´s useful. Merry Christmas to all!!!! This is a very basic worksheet. It works very well with little ones... 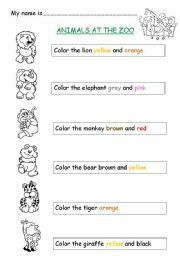 I use with my five years old after I read "Buster´s zoo" to them... hope it´s useful. 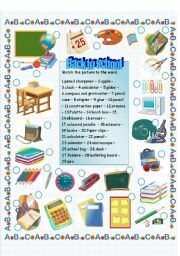 Easy "Back to School" quiz to review some basic vocabulary. Solutions included. Hope it´s useful.Have a nice Sunday! Quiz to review school vocabulary and relative pronouns. Easier version for lower levels uploaded before. Hope is useful. 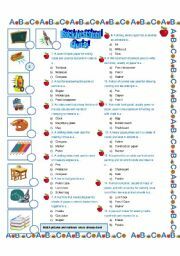 Back to school: Classroom jobs quiz! 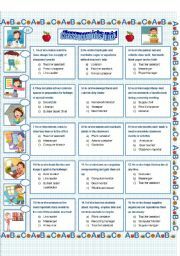 This is another quiz / matching words and pictures activity to be used the first days of school to review classroom jobs. Solutions included. Hope it´s useful! Back to school: Classroom supplies quiz! 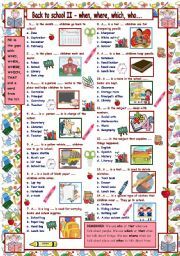 I will use this quiz / matching words & pictures worksheet the first days of school to review classroom supplies vocabulary. Solutions included.Hope it´s useful for you too! 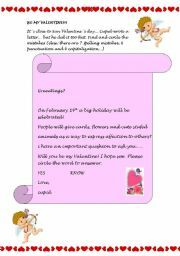 Setting: It´s close to San Valentine´s day… Cupid wrote a letter… but he did it too fast. Students have to find and circle the mistakes and rewrite the letter with the corrections made... Hope it´s useful. 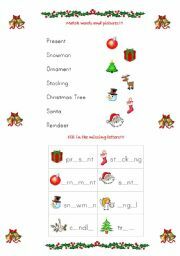 Very basic worksheet to introduce young learners to Christmas vocabulary. 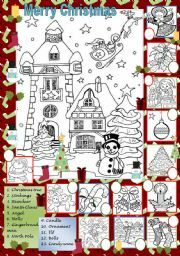 Easy Christmas coloring - matching activity to review vocabulary with little ones. Hope it´s useful. Last part of this powerpoint. Check previous four. This is the first part of a five parts powerpoint presentation. Sorry about the inconvenience but it was the only way I was able to upload it. Second part of the presentation. First part (out of three parts) of this powerpoint based on the birth of Jesus Christ. 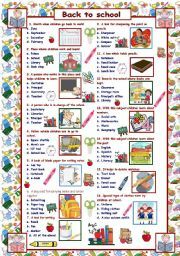 I hope it´ll be useful for your lessons now that Christmas is approaching. Third and last part. Check previous ones. Second part. Check previous one.